SSANU, NASU, NAAT Suspend Strike: The Senior Staff Association of Nigerian Universities (SSANU), the Non-Academic Staff Union of Universities (NASU) and the National Association of Academic Technologists (NAAT) have suspended the strike they embarked upon 11 days ago. This development is coming after ASUU suspended of her own industrial action. The members of SSANU, NASU and NAAT are expected to resume work as they reach agreements with the Federal Government over their demands. 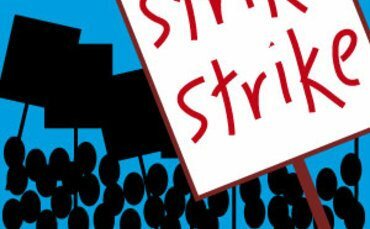 The non-teaching staff unions of Nigerian government universities under the umbrella of the Joint Action Committee (JAC), have announced the suspension of the 11 days old strike on Thursday. JAC comprises members of the Senior Staff Association of Nigerian Universities (SSANU), the Non-Academic Staff Union of Universities (NASU), and the National Association of Academic Technologists (NAAT). Mr. Ugwoke said the strike was being suspended for a month to allow the government meet their demands. He enjoined government to “ensure compliance” with agreements reached with the unions. All students of Universities in Nigeria should take note of this development.